Seahaven Blinds is a family run business which offers a fantastic range of blinds. Our area is Sussex - Eastbourne, Shoreham, Hove, Worthing, Brighton, Woodingdean, Rottingdean, Saltdean, Peacehaven, Newhaven, Seaford, Lewes, Uckfield, Pevensey plus surrounding areas and villages. 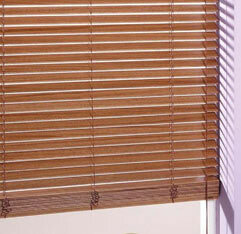 Our Excel Blinds are made from a high quality wood and are offered at an affordable price. Manufactured from a high grade of basswood, our Excel Blinds are available in 50mm slat widths finished in white wood, medium wood stain and dark wood stain. 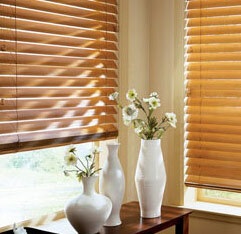 These Blinds offer superior control of light filtration, and display the beautiful natural grain of the wood. The Sunwood range is offered in slat widths of 25mm, 35mm and 50mm giving you further choices over your blind style. All Blinds include a sculptured valance, brackets and fitting instructions. All Sunwood Blinds are right hand raise and left hand tilt in operation. Available in either 25mm or 50mm our Premier range offers the very best in Woods and will look beautiful in any environment from home to office. Controls for raise and for tilt can be manufactured either side of your blind and can be easily chosen when placing your order. The Premier range also offers the addition of ladder tape which really sets your blind apart. Click on the image above to see what Window Blinds Shop can offer you. Blind Specialists - Selling all types of blinds including Vertical, Venetian, Wooden and Roller blinds throughout Sussex, Brighton, Eastbourne. Venetian Window Blinds, Wooden Roller Blinds, Vertical Office, Bathroom Blinds, Wooden Kitchen, Roller Studies, Premier Roller, Sun Vertical Venetian, Excel Wooden, Sunwood Wooden, Mercury Roller, Vertical Astra, Brighton, Eastbourne. Our Blind services include: Venetian, Blinds, Wooden, Roller, Vertical, bathrooms, kitchens, bedroom, studies, offices, range, sun, premier, excel, sunwood, sun, mercury, astra. 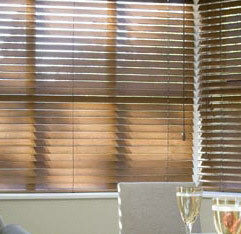 Related content: Window Blinds is a family run business which offers a fantastic range of blinds. Selling everything from verticals, venetians, wooden venetians, through to roller blinds throughout Brighton, Eastbourne.